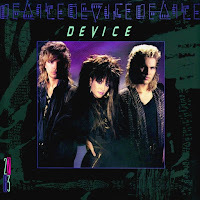 - Device was a short-lived American pop-rock trio, formed by keyboardist, bassist and vocalist Holly Knight, vocalist Paul Engemann and guitarist Gene Black. Device's only album, 22B3, was released in the spring of 1986. It produced a Top 40 single in the U.S. with "Hanging on a Heart Attack," which peaked at No. 35 on the Billboard Hot 100. The band's second single, "Who Says," peaked at No. 79. Both of these songs were promoted by music videos which garnered MTV rotation, and both were released as 12" singles with remix and dub versions which received club play. A third single, "Pieces on the Ground" was released as a promo 12" single, while the album peaked at No. 73 on the Billboard 200 chart. The band's fourth and final single was titled "Who's on the Line". It was a remixed version different from the album track timing in at 4:03, however it failed to chart. Mike Chapman produced the album. After Device disbanded, Holly Knight released a 1988 self-titled solo album, featuring the single "Heart Don't Fail Me Now," and her own version of "Love Is a Battlefield," which she had written for Benatar, and continued writing songs for other performers. Paul Engemann, who previously sang on soundtrack cuts produced by Giorgio Moroder, joined Animotion. He took over for the original lead singer, Bill Wadhams, and sang opposite Cynthia Rhodes on Animotion's 1989 Top Ten hit "Room to Move." Coincidentally, Knight had recorded the original version of Animotion's biggest hit, "Obsession," as a duet with Michael Des Barres; the two co-wrote the song, which appeared on the soundtrack to the 1983 film A Night in Heaven. Gene Black continued to be involved in session work, including a similarly themed 1980's band, Wild Blue, best known for the aggressive dance-rock singles "Fire with Fire" and "International Language of Dance." Gene also co wrote two Top Ten hits with Holly Knight. Heart's "Never" and Rod Stewarts "Love Touch". Black recorded extensively with Tina Turner, and later joined Joe Cocker's touring band in 1997. - The trio Device was formed around the skills of musician/songwriter Holly Knight. Although not a household name, Knight had become one of the most ubiquitous presences in music during the mid-'80s. Having appeared on three albums with the band Spider during the earlier portion of the decade (1980's Spider, 1981's Between the Lines, and 1984's Rough Justice), she became a prolific songwriter, penning hits for Pat Benatar, Scandal, Heart, and Tina Turner (among others). Rounding out Device was lead vocalist Paul Engemann and session guitarist Gene Black, who had worked with Cher and Tina Turner. With noted producer/songwriter Mike Chapman (whom had worked with Knight in the past) producing, it would have seemed that Device was destined for success, but to wasn't to be. Their one and only album, the futuristically titled 22B3, was released in the spring of 1986. Although it managed to produce a Top 40 single with "Hanging on a Heart Attack," which peaked at number 35, it had to be labeled a disappointment, considering the personnel involved. - Device were a Los Angeles based trio formed around the classically trained and talented songwriter Holly Knight. She first came to our attention in the band Spider from the early eighties, playing keyboards alongside Amanda Blue and co, followed by a stint of serious songwriting. The latter saw songs such as Pat Benatar's 'Love Is A Battlefield' and Tina Turner's 'Better Be Good To Me' become smash hits for Holly. 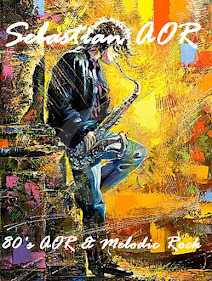 She wrote many songs for a wide variety of artists ranging from Ozzy Osbourne to Kim Wilde. A talent indeed, and one only wonders what would happened if she'd saved those songs for her mid-eighties pop vehicle Device. Bringing in singer Paul Engemann and session guitarist Gene Black, the trio were formed, and quite a stunning looking trio they were too, with their futuristic clothing being a feature. The music is hi-tech, an array of electronic devices (excuse the pun) used throughout, whereby Holly does all the programming. The Chrysalis label and Mike Chapman production team became involved, and the album '22B3' was released during the spring of 1986. The first single 'Hanging On A Heart Attack' was a top 40 hit during the summer of that year (the video was quite freaky too!). The hi-tech pop attack was relentless on tracks such as 'Who Says' and 'Tough And Tender'. Even on 'When Love Is Good', the choruses are soaring and guitars are absolutely swinging. My personal favourite is the dynamic 'Didn't I Read You Right', which draws it's influences from some of their mid-eighties pop/rock contemporaries. With 'I've Got No Room For Your Love', they manage to keep the energy at a danceable level while they get a little subdued and reflective on 'Who's On The Line'. - Releasing their sole album ''22B3'' in 1986, Device were a short-lived rock band. The band consisted of three members. The most famous member was keyboardist/bassist Holly Knight, an extremely popular songwriter at the time who wrote hits like Pat Benatar's "Love Is A Battlefield", Heart's "Never", and Aerosmith's "Rag Doll" just to name a few. 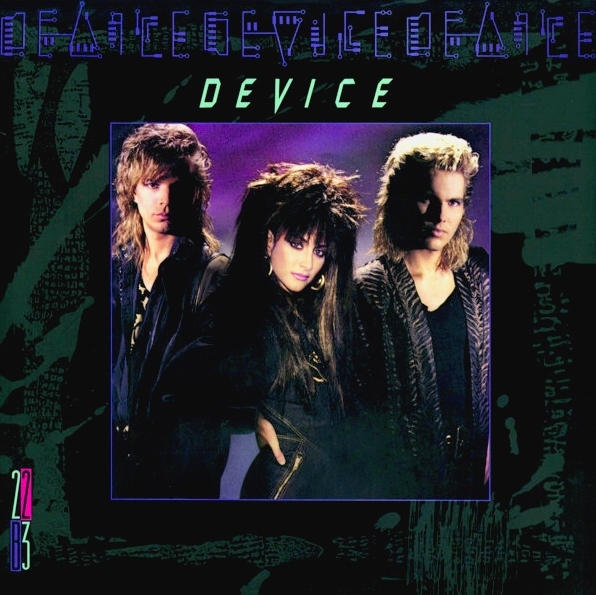 Device's lead singer was Paul Engemann, who was already famous in the 80's for doing the lead vocals to "Push It To The Limit" from the ''Scarface'' soundtrack. He would later go on to sing with the band Animotion, singing co-lead with actress Cynthia Rhodes. During his time in the band, Animotion scored the 1989 Top Ten hit "Room To Move". A fun fact about Paul is that he is the brother-in-law to famed news anchor Larry King. Lastly, there was Gene Black, who was a session guitarist and has played with acts such as Tina Turner. Black also played with a band called Wild Blue, who are known for the singles "Fire With Fire" and "International Language Of Dance". Featuring a radio-friendly, danceable, high-tech, aggressive hard rock sound, the ''22B3'' album charted at #73 on the Billboard 200 and it was supported by four singles. The biggest hit was the album opener, "Hanging On A Heart Attack", which charted at #35 on the Billboard Hot 100. The follow up was the album's second track, "Who Says", which charted at #79. The two aforementioned singles were also supported by MTV videos which saw moderate rotation. The third single, "Pieces On The Ground", was only released as a promo-only single. The fourth and final single "Who's On The Line" didn't even chart at all.